Jim and Mary Lacey Extended Families is a Collection of Photo Galleries about the Lacey Family, and by extension sibling family members. 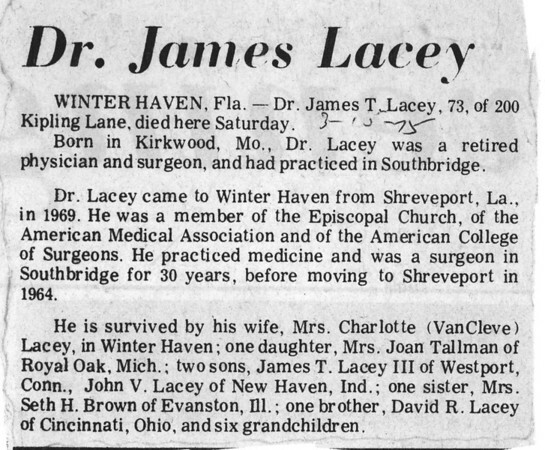 Dr. Lacey died March 15, 1975. After leaving Southbridge MA in 1954, he moved to Miles City Montana as a surgeon for the VA. He then moved to Marion, IN, finally to Shreveport LA as a surgeon for the VA. James T. Lacey III actually lived in Westford MA.